If you love vibrant yet elegant nail colors then New Maybelline Color Show Bright Sparks range is for you. All the shades are vibrant yet glam and look awesome on nails. 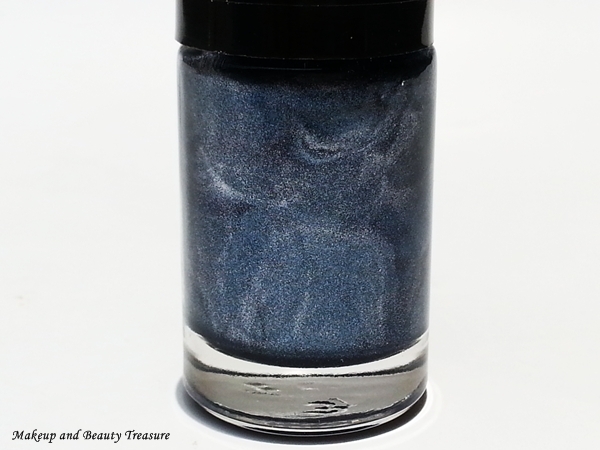 I got Spark of Steel* and it is a gorgeous shade of grey and blue with metallic finish. It is priced at Rs 85 and you can buy online HERE. Maybelline Color Show Bright Sparks Nail Polish comes in a sturdy and clear glass bottle with a black screw top lid. The brush applicator is of fairly good size with good quality bristles. It makes application of the polish quite easy without brushing along the skin. 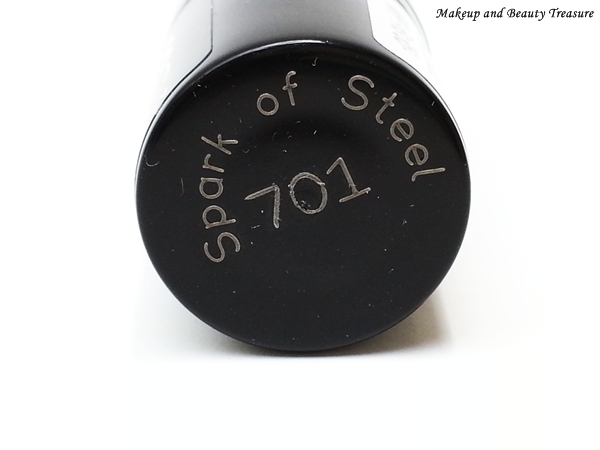 Spark of Steel is a gorgeous grey-ish dark blue color with metallic finish. It looks classy and elegant with all my ethnic and western outfits. It makes my hands look bright and delicate. The consistency of the nail lacquer is pretty good. It is neither very thick nor very runny. It applies smoothly over my nails without streaking. It delivers true and vibrant color in two coats. It dries pretty quickly ready to be finished with a top coat. The polish lasts for about a week without chipping (I don’t do household chores though :D!). The color does not dull down even after 6 days which actually impressed me a lot. It is easy to remove and does not stain my nails. This shade would look fabulous on all skin tones. It has beautiful glossy finish just like other top nail polish brands and I am so happy that it is worth R 85 only. • Does not stain my nails. • All the shades in this range are vibrant and elegant. 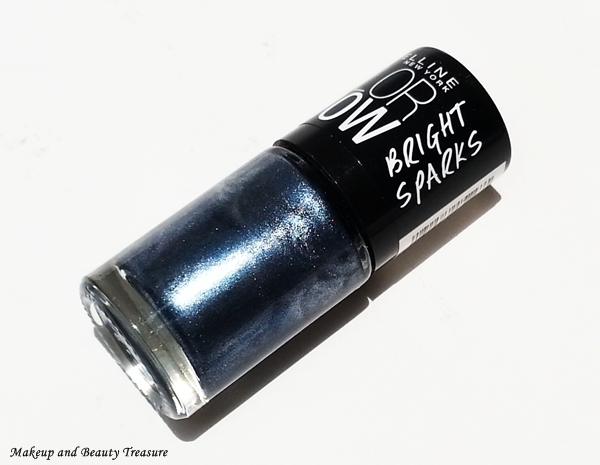 Maybelline Color Show Bright Sparks is a great quality nail polish that delivers awesome results. It comes in 8 shades and Spark of Steel is a gorgeous metallic grey-ish blue shade. I would highly recommend it to everyone who is looking for budget friendly nail polishes! • You do not need to apply base coat as it does not stain nails and applies smoothly. • Apply a top coat to make nail polish last longer. Have you tried Maybelline Color Show Bright Sparks range? What is your favorite color?